Young Adult Money's David Carlson knows a few things about student loans. After starting his blog as a side hustle to help pay off $100,000 in student loans, he credits a systemized approach to his success. You can download his student loan tracker for free by signing up with your email. College students have different budgeting needs than the rest of the adult world. If you're a college student, you can keep track of all of your expenses, tuition, and income all in one convenient place with Mint's free spreadsheet download. It's never too early to start prepping your holiday season budget. You know you'll have people to shop for and your budget can quickly turn into a mess if you wait until the last minute. 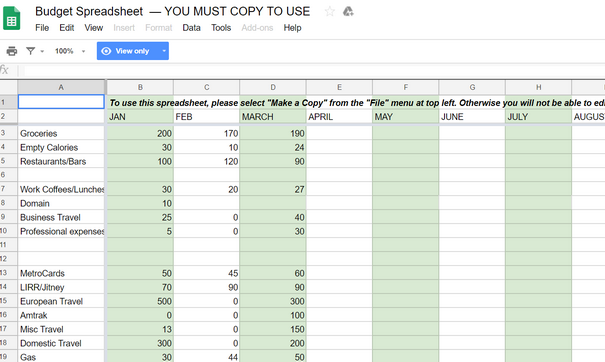 Luckily, you can calculate all of your holiday costs with this spreadsheet from Microsoft Office. The best way to set and achieve savings goals is to track your progress. It's important to always understand how far you've come, and how far you have left to go. 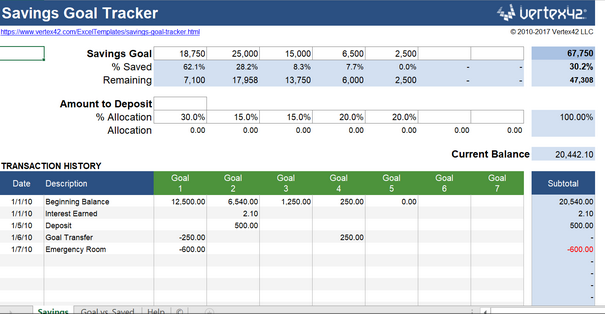 This free savings goal tracker spreadsheet from Vertex42 is the perfect tool to keep you on track. 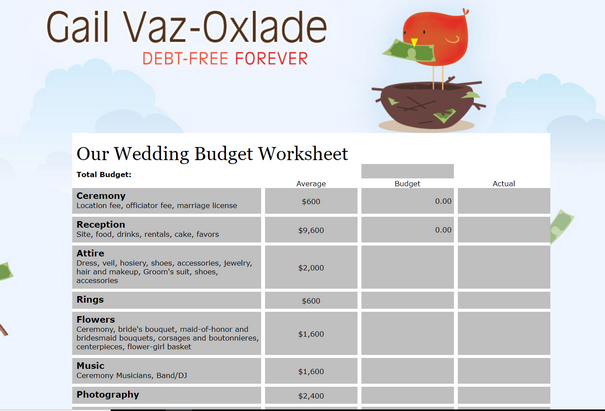 For a simple, no-fuss wedding budget, check out this wedding budget work sheet template from Gail Vaz-Oxlade. 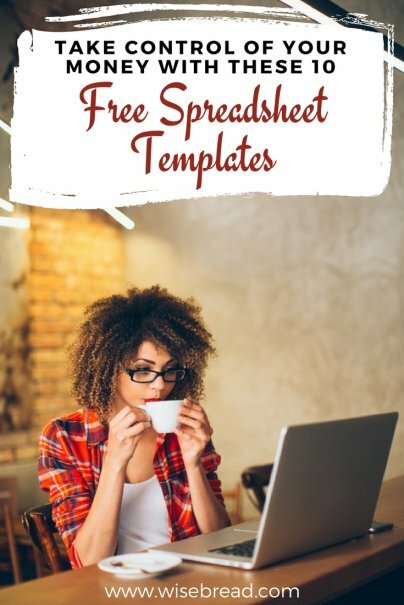 This spreadsheet is completely free and doesn't require sign up. Note: The author is a contributor at Young Adult Money but is not being paid to promote the site.